Jon and Toku travel the universe suspended in Interdream, only waking up to check up on certain business ventures. Simple. Until one of the business ventures, something called "Earth," objects. 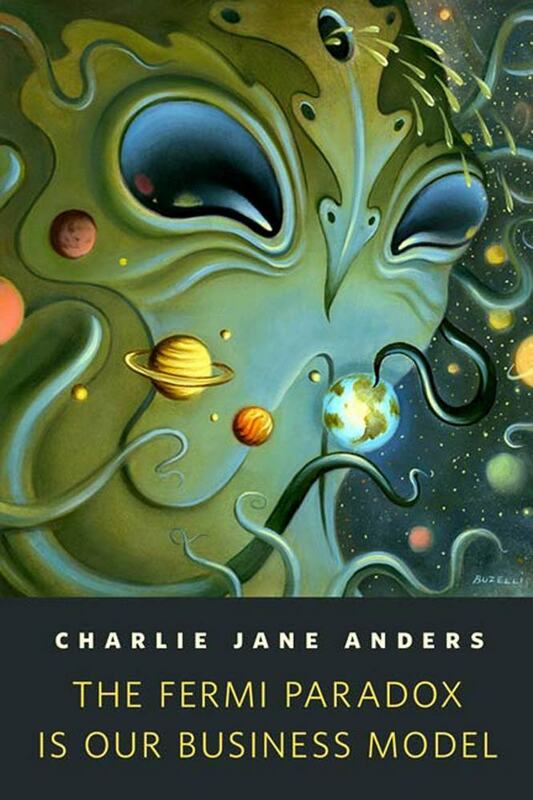 Charlie Jane Anders is an American journalist, editor, and fiction writer. Her science fiction has appeared in Strange Horizons, in Rudy Rucker's webzine Flurb, and in Rich Horton's Year's Best Science Fiction and Fantasy 2009. Her novel Choir Boy (Soft Skull, 2005) won a Lambda Literary Award in 2005. Her journalism and other writing has appeared in, among other venues, Salon, the Bay Guardian, the New York Press, Mother Jones, McSweeney's, and the Wall Street Journal. With Annalee Newitz, she edited the anthology She's Such a Geek: Women Write about Science, Technology, and Other Nerdy Stuff (Seal Press, 2006). She lives in the San Francisco Bay area, where she is the managing editor of the science fiction website io9.